This sort of loyalty is only seen among drug addicts ! It is time to create pathways for the Ekalavyas who are denied access to the masters and high quality content with a chance to compete for high level certification. What I have proposed may appear anarchic and impractical. But there are elements of what is possible tomorrow in the reality of today. India should seize the opportunity to reinvent its education process. 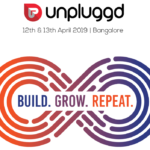 India’s biggest startup conference, UnPluggd is scheduled for Dec 12th (Bangalore) and while we will start announcing the speakers from next week onwards, your chance to grab super early bird + diwali discount is today! The coming year is a big one for NextBigWhat, as it is for Indian product and tech ecosystem. It’s an exciting time ahead. 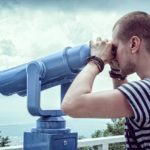 And we’re looking forward to playing an enabler/ supporting role in this – egging folks on to dream bigger, bridging the gaps with the real world, asking the tough questions and bringing diverse, wide and unique perspectives to the table so it helps entrepreneurs and product teams truly make a difference, not just some money. The 12th edition of UnPluggd is scheduled for 12/12 (Bangalore) and today, we are happy to announce opening up of the startup application form. Jugnoo is up against well funded competition – including Ola and Uber. Cofounder, Samar Singla shared how the company is *surviving* and growing against the established players. We have amazing speakers sharing actionable insights on growth hacking, surviving, failing and scaling! Be There On October 17th.